This chuntey is a typical food prepared in most homes that enjoy #ParsiFood. It is versatile and although mainly prepared for the Patra ni Machi ( Fish in Banana Leaves ) it is also used in many different dishes; Ribbon Rice, Scotch Eggs, Fish in Pastry Roll etc. Chutney Sandwiches were a favourite growing up, but not until I had tasted this version thanks to my loving and generous neighbour Baki aunty, that I actually started eating these delicious sandwiches. She put that extra touch that has taken these sandwiches up a notch. Green Chutney sandwiches made extra special. Mix the prepared Chutney with soft, salted butter until it is a smooth consistency. Approximately 4oz/125 gm will be sufficient. Apply generously to both sides of the bread. Thinly slice one cucumber and place on a paper towel, sprinkle lightly with salt. Place a piece of each on any one side of the sandwich on top of the chutney. Place the other side over, press lightly. In an electric grinder/food processor or blender; grind till fine and smooth the desiccated coconut. Then add the rest of the ingredients in order green chillies, salt, coriander leaves, salt, diced mangoes, mint leaves and lemon juice. Taste for the salt, the heat from the chillies, the sourness and the sweetness. Balance must be perfect to suit your palate. Prepare ahead of time and freeze. It will stay for up to 1 month. Defrost for 24 hours in your fridge. Texture of the chutney must be as smooth as possible. This will depend on your grinder and the coconut. 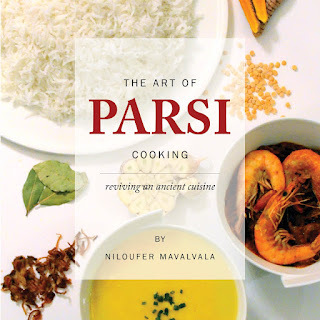 For more #ParsiFood click the link for my cookbook The Art of Parsi Cooking; reviving an ancient cuisine.